For many Christians, Communion has become a church ritual, and they have forgotten the importance and the value of the Lord’s Table. And for many, the bread is simply an afterthought to the cup. But Christ’s blood and body are significant to us. He gave His body for us just as much as He gave His blood! The ordinance of Communion is something most Christians celebrate on a regular basis during their church services. It’s commonly referred to as “The Lord’s Table.” And on that “table” are two elements—emblems that represent two very important aspects of Christianity. Those two elements are the cup and the bread. The cup represents the blood of Jesus that was shed on the Cross for the remission of our sin. The bread represents the body of Jesus that was broken for us. It is very popular to read First Corinthians 11:23–26 during Communion services. Notice the use of the word “bread” in this passage of Scripture. In this passage, Jesus Himself declares that the bread represented His body, which was broken for us. Often during Communion services, the bread sort of takes a “back seat” to the cup. We focus on the blood of Christ and the remission of sins—and rightly so. But the body has just as much significance as the blood, because you can’t separate the two. The salvation Jesus provided contained both the bread and the cup—both His body and His blood. Both the bread and the cup represent the same thing—Christ Jesus our Lord. I want to talk to you about Christ: the Bread of Life. 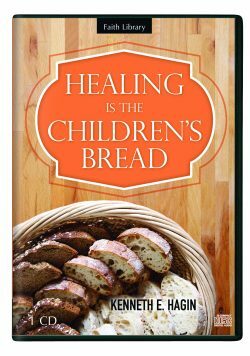 Many times, when the Word uses the word “bread” in regard to natural bread for eating, it is simply talking about food in general. The food may include bread, but it isn’t limited to bread. God intended that we eat natural food on a daily basis to sustain our physical life. A person who goes without food for an extended period of time will die of starvation. We have to consume natural food in order to live. We know that the Communion bread, or wafer, will not physically sustain anyone. The Communion bread is not meant to be our natural bread. But it is to be part of our spiritual sustenance. Partaking of the Communion table is a necessary part of our Christian life, and is something that we should treat with high respect and reverence. A second type of bread mentioned in the Bible is what I refer to as miraculous bread. Even though this was also natural bread for physical sustenance, this bread was God’s supernatural supply from Heaven. Following their exodus from Egypt, the Israelites found themselves in the desert without food. God miraculously met their need by giving them “thin flakes like frost on the ground” (Exod. 16:14). 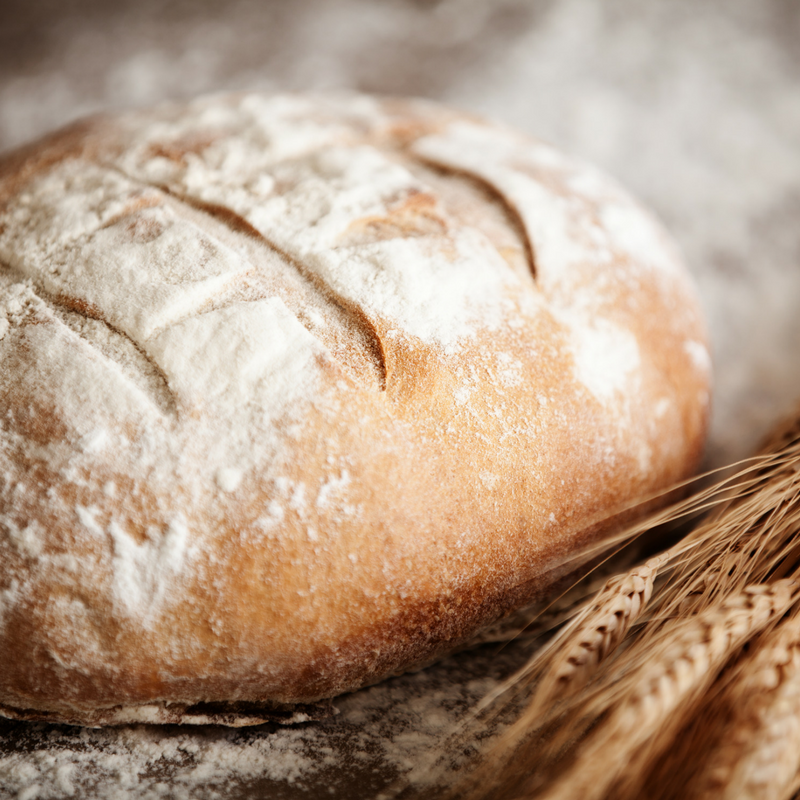 God miraculously supplied natural bread for the Israelites to eat. Another instance of miraculous bread is found in Matthew chapter 14. Here Jesus fed the multitude supernaturally, using natural food. With only five loaves of bread and two fish, Jesus fed more than five thousand people! 19 And he [Jesus] directed the people to sit down on the grass. Taking the five loaves and the two fish and looking up to heaven, he gave thanks and broke the loaves. Then he gave them to the disciples, and the disciples gave them to the people. In a normal situation, five loaves of bread would not come close to feeding more than five thousand people! That bread was miraculous bread! The celebration of eating the unleavened bread in observance of Passover was a type, or shadow, of that which was to come. As God delivered Israel from Egypt at the hand of Moses, so God delivered us from slavery to sin through Jesus Christ. God commanded Israel to remember their deliverance by observing the Feast of Unleavened Bread, and He has commanded us to remember our deliverance by partaking of Communion. A fourth type of bread mentioned in the Word of God is the show bread. The show bread was holy and kept in the tabernacle for the priests to use in their offerings to the Lord. According to Leviticus 24:8, “This bread is to be set out before the Lord regularly, Sabbath after Sabbath, on behalf of the Israelites, as a lasting covenant” (NIV). On the Lord’s Table, we have emblems that represent another lasting covenant—the covenant God established with Jesus Christ, the covenant for all who have accepted Jesus as Savior. A fifth type of bread mentioned in the Bible, and the one I want to focus on, is the Living Bread. Many times throughout the New Testament, Jesus declared Himself to be the Living Bread, or the Bread of Life. Jesus came to earth and announced, “I am the living bread that came down from Heaven.” Through Christ Jesus, a whole new dimension of living has been made available to us. When we accept Jesus Christ into our heart and life, partaking by faith in His broken body and shed blood, we walk into a new dimension of life. Natural bread is earthly, but spiritual bread is heavenly. Natural bread is corruptible, but spiritual bread is incorruptible. Natural bread is limited, but spiritual bread is unlimited. Natural bread feeds the body; spiritual bread feeds the spirit. I realize that without the shedding of blood, there is no remission of sin. It is very important that we recognize the cup and the blood that it represents. But I don’t think we have ever given the bread the recognition that it needs. It represents the Living Bread Who walked upon the earth and was sacrificed for our wholeness and soundness of body. The bread represents our Lord. He walked this earth in a physical body. In that body, He taught along the seashore. He sailed the Sea of Galilee. He went about doing good and healing all who were oppressed of the devil (Acts 10:38). And that body was broken for me and you. That body was beaten with thirty-nine stripes—by whose stripes we were healed (1 Peter 2:24)! That body was hung on the cross, buried in a grave, and raised again! That body is the Living Bread! Our Lord is the Bread of Life! How do we partake of the Living Bread? We do it by faith. When we partake of the Communion wafer (a natural bread), we eat it and acknowledge by faith that we are partaking of spiritual bread, the Bread of Life. The natural bread is a representation of the spiritual bread. Partaking of the bread is a natural act with spiritual meaning and significance. By faith, we remember what Jesus did for us. By faith, we partake of Christ’s broken body and shed blood. By faith, we celebrate the healing and salvation Christ has provided. The next time you take Communion, I encourage you to release your faith and receive all that the Communion table represents. Perhaps you have done as so many others have done in treating the bread element as an afterthought. But friend, it is as much a part of the Lord’s Table as the cup. It should not be an afterthought. Bodily healing and eternal salvation are offered at the Communion table of blessing. Healing and a brand-new dimension of life belong to you. I encourage you to view Communion as something deeper and more powerful than you’ve ever experienced before. The next time you partake of the Lord’s Table, determine in your heart to receive all that the Lord has provided for you!